Directed by Charlie McDowell from a loose screenplay – reportedly an outline with some suggested dialogue – by Justin Lader, and lots of improvisation by its two leads, The One I Love stars Elisabeth Moss (Golden Globe winner for Top of the Lake and with another film at Sundance 2014, Ross Perry's Listen Up Philip) and Mark Duplass (as actor: Safety Not Guaranteed; as director: Jeff, Who Lives at Home) as a couple on the brink. According to Geoff Berkshire's Variety review, this mix of romance and fantasy features references to Who's Afraid of Virginia Woolf? and The Twilight Zone, which should make for – at the very least – curious viewing. Ted Danson has a supporting role as a therapist. Written by Amy Albany and Topper Lilien, from Albany's book of memoirs, Low Down also features Lena Headey, Caleb Landry Jones, and Peter Dinklage. 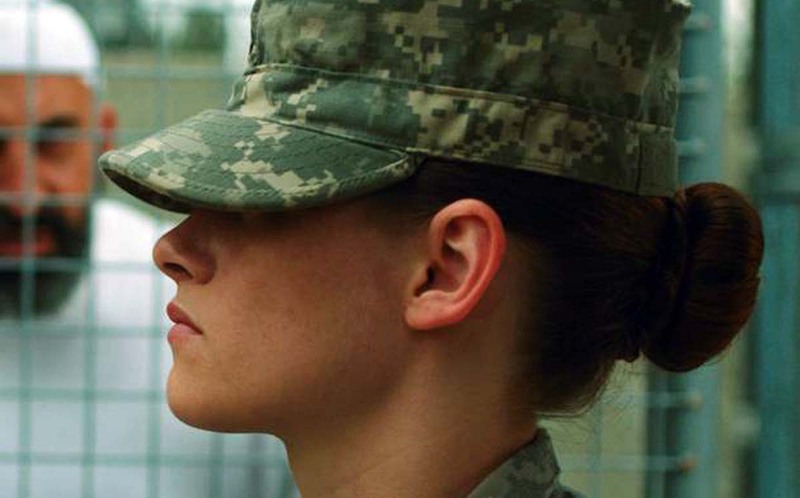 Kristen Stewart Camp X-Ray photo: Sundance Film Festival. Too bad Camp XRay can't find a distributor. So many other films from Sundance have been snapped up. The critic at EW hated CXR and KStew's performance in particular. It's not the only bad review, either. “The reason she doesn't fit in with them isn't that she's just about the only woman. It's that they really seem like soldiers, and she seems like…Kristen Stewart trapped in Guantanamo Bay.” — Owen Gleiberman with Entertainment Weekly. praise for Stewarts talent is a long time coming. I don't agree with the critics on her Twilight performance after all she gave the fans what they wanted. I haven't had the pleasure of seeing Camp X-ray but I hope it's in theaters soon.